We’re now trialling a new initiative that allows you to round up payments to the next whole value, should you wish to – the excess of which will go to our partner charities. All those pennies add up! 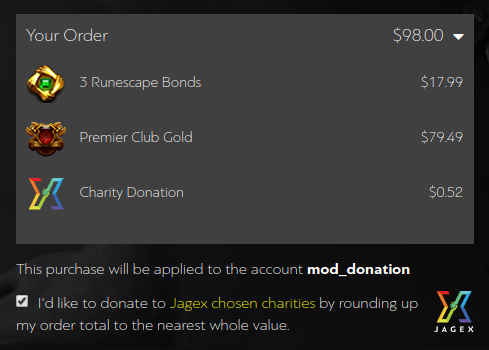 Check out this forum thread to find out more about what Jagex has been up to on the charity front!